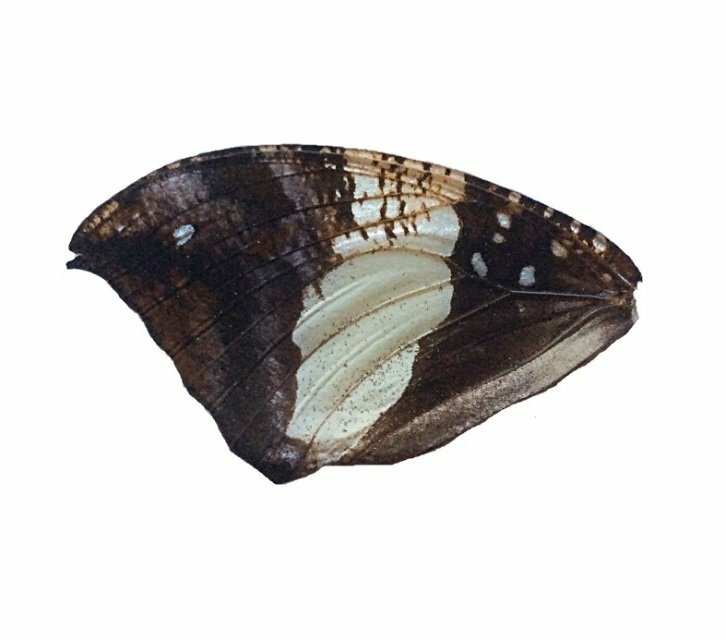 This dark brown leaf shaped wing measures approximately 4cm x 2.5cm. there are several small silver spots to the top of the wing giving it its common name, silver studded leaf wing. It also has beautiful detail. It comes in a little acid free envelope to keep it safe until you are ready to use it.